is your back itchy all the time? well not now. you can get backscratchin' wonders back scratcher now! nice and long. or nice and short. we'll make it a perfect fit for you! the backscratchin' wonders backscratcher is your for 19.95 only! (if you pay shipping and handeling) and as an added bonus, well give you the backwaxin' wonders back waxer too! just call 1-800-scratch. the backscratchin' wonders back scratcher is not available in stores. have you ever wanted to eat the world? well now you can with edi-world! edi-world is an edible snow globe. well, they actually only put the snow in the snowy parts of earth. the edi-world comes in strawberry, lemon-lime, black and red licorice, and orange. 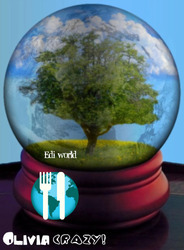 the edi-world costs 10.99. you can get edi-world in party lounge cafe. have fun eating the world! the Flower Power Shower is the all new super garderner. you just the code, for example, 54312diaperrash, and then press go. the FPS will automaticly make your garden grow really ugly weird named flowers. like the Pentunobody. it's 99.99.if you pay shipping and handeling we'll throw in bad smelling plants too.you can get it at " Marty's gardening and plants and stuff like that " store.